The Finals are being played at the magnificent Hotel Nuo in Beijing, where all the winning pairs are hosted by Ourgame. 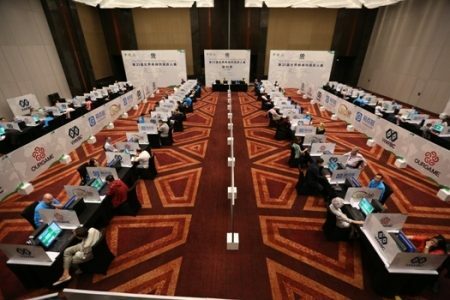 The 24 finalists from the World Wide Bridge Contest heats run by the WBF are joined by players who took part in the heats run by Ourgame in China. They will play a full round robin, 39 rounds of 4 boards per round with the sum of the MPs obtained on all the boards being used to determine the final ranking. 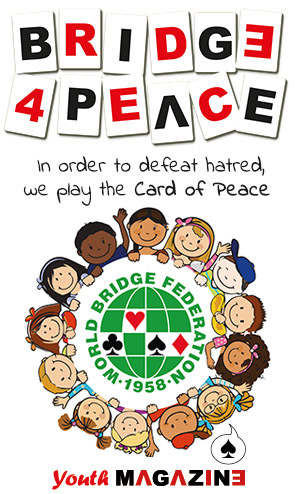 The event is all played on BBO computers using the WBF Standard Card. You can find the details of the event at championships.worldbridge.org/2017wwbc including round-by-round scores and the link to the running scores.